“AMAZING!” is the direct quote from one dive master. They’ve been able to spot six different Mantas, 15+ dolphins interacting at the site with the divers. Minimal current and moderate visibility combined are giving us some very happy divers. We are presently sharing the site with the Rocio del Mar and working around each others dive times. 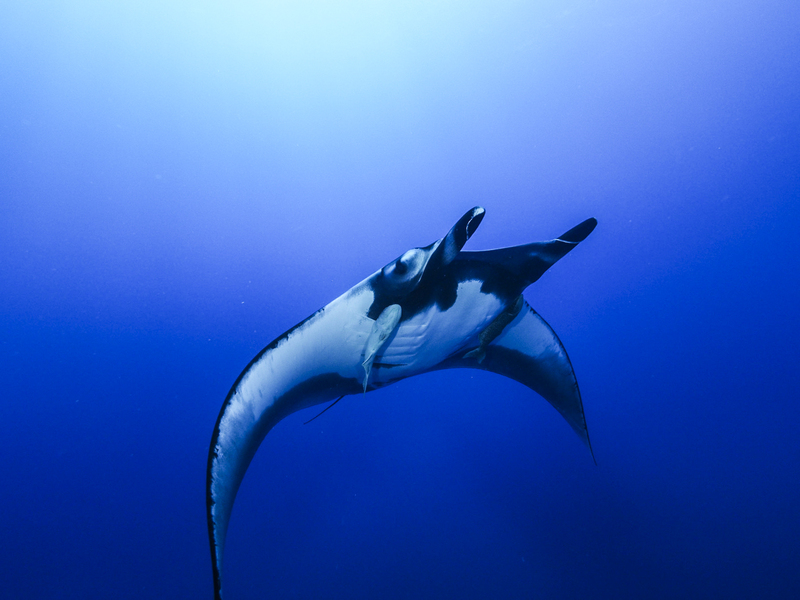 “Mantas everywhere!” was the report from the divers. Yet to confirm count from a DM as the skiffs just arrived and the dive deck is buzzing with excitement. The current has increased and is running moderate south to north. The skiff dropped to south of boiler with anticipated results, and the divers look ready for the next dive. Yesterday afternoon Roca continued to be excellent with 40m vis, low surge/current and no other vessels. There were up two three different mantas sighted on each dive and by the fourth dive we had half the guests on deck enjoying the first truly sunny afternoon with low wind and gently rolling seas. 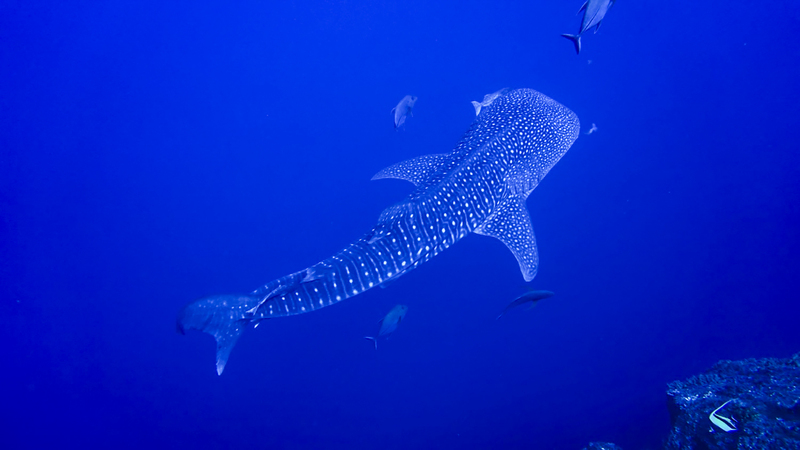 They had met and exceeded their dive expectations and were enjoying some relaxing time.